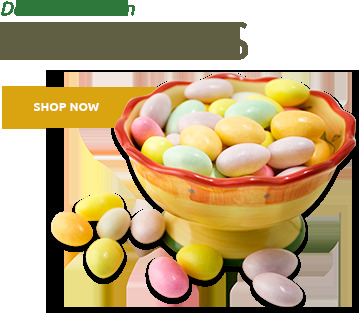 We start with our fresh New England blueberries, farm fresh eggs, add pure New England maple sugar to the cake and bake it to perfection. If you love old fashioned, homemade coffee cake, you will love ours. 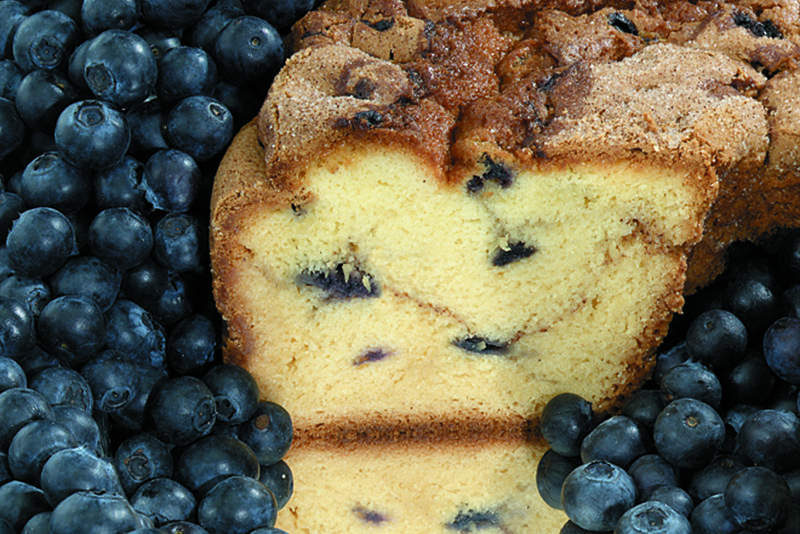 New England Blueberry Coffee Cake - Net WT 1.75 Lb. Sugar, Sour Cream( Cultured Pasteurized Milk, Cream, Nonfat Milk, and Rennet), Enriched Bleached Wheat Flour, Eggs, Soybean Oil, Blueberries, Maple Syrup, Palm Oil, Leavening (Monocalcium Phosphate, Sodium Bicarbonate, Sodium Acid Pyrophosphate, Cornstarch), Modified Food Starch, Propylene Glycol Mono and Diesters of Fats and Fatty Acids (Emulsifier), Vanilla Extract, Cinnamon, Dextrose, Egg Whites, Mono and Diglycerides (emulsifier), Salt, Natural Flavors, Sodium Stearoyl, Lactylate (emulsifier), Tetrasodium Pyrophosphate, Disodium Phosphate, Xanthan Gum, Calcium Sulphate, Gum Arabic, Soy Lecithin, Cellulose Gum, Extractives of Tumeric (for Color). Contains Eggs, Milk and Soy. Delicious!! My entire family loved this coffee cake along with the cranberry, cinnamon walnut and chocolate chip. 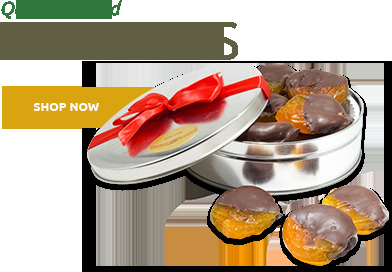 I ordered them all from you and cant say enough about how delicious they all are. My oldest Son & my Husband still like the Cinnamon Walnut the best since this was the only one I ever bought at Honey Baked Ham until this year knowing I can order from you now and Im happy about that. Thank you, Claudia A. Combs. ProsI ordered all of the coffe cakes for Thanksgiving and Christmas to celebrate the Holidays with family. All of them are delicious and family members liked them all which they had there favorites of course. Purchased the NE Blueberry Coffee Cake for my parents who reside in another state. My comments are based on their positive responses they've had from this coffee cake as well as one purchased in the past yrs. 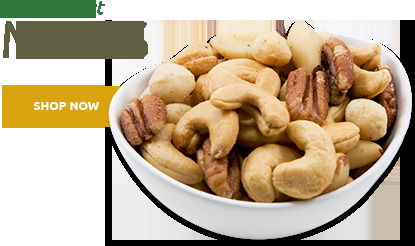 Few yrs back..found this site to purchase larger cashews for my Dad who by the way...loves these cashews Another winning purchase! When you're parents are in their 90's it gets difficult on finding things they don't have so food has been the winner! 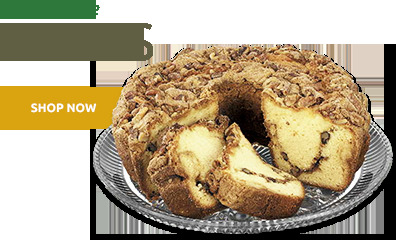 While shopping thru the site found these coffee cakes which in the past purchased 6 mos worth of cakes for them to enjoy..Superior Nut Co sets up a monthly delivery of these cakes...Perfect gift so they can enjoy time & time again. 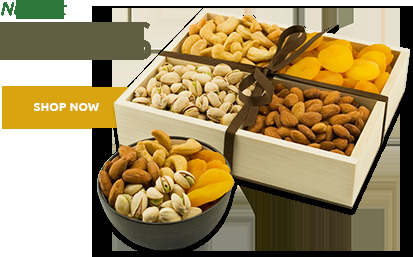 This yr, ordered the nuts & along w/ Blueberry Coffee cake...Of course, package is opened immediately as they know what.the gift is...lol so they immediately engage in eating both the cake & the nuts...They call me describing the delicious cake..stating cake very moist, fresh & nice size to be enjoyed by others..if there's any cake left. ProsExplained above..the cake's pros. There are no negatives. Delicious Bluberry coffee cake. Great by it self, even more so with a good cup of coffee. Tasted freshly home made even though it was packaged and delivered a couple of weeks before the Holiday to Arizona.. I highly recommend! ProsFresh and moist, Packaged well. the blueberry coffee cake was super moist and delicious and the perfect end to our mother's day brunch! we also ordered the pumpkin spice cake, froze it on delivery and sent it home with one of the mom's for a special sweet treat to enjoy later on! This was ordered as a gift, I was told it was scrumptious! It was late arriving, as so many packages this month, but customer service rep Erin solved the problem quickly. I will definitely order again! The cake was moist but if you are going to call it blueberry, then put enough berries in it to taste. I haven't eaten this yet, but I did have this before and it is very tasty. We all enjoyed this.. I purchased the above items as a gift for a friend . I did not have the opportunity to try these items. This was also my first purchase from your company. I will say that the gift recipient was very complimentary. Not certain that his comment was just being courteous to me or if it reflected his sentiments for the products...........or both. I do feel there was a sense of enjoyment as the product was mentioned by this recipient in a favorable way in a subsequent email. This cake was really good, but I wish it had walnuts! Very happy to send it to family in Michigan, and they said they were enjoying it. A true combination of cofffee cake and a great tast of blueberry with enough berries throughout for that sweet taste. Scrumptious! That was the best coffee cake I have ever eaten. It is so very moist. Iâ€™ll be back. This was a motherâ€™s day present. I sent my mom this cake and a tin of pecans. She shared them with her best friend and couldnâ€™t say enough great things about them both.